The best thing about having a decent number around the table for an Indian (well done Ian for rustling up five this month, and even an apology for absence from Tina) is that you can order what you fancy and then when you get bored of it you can just pinch a bit from someone else’s dish. So it was at the Gurkha’s Inn in East Greenwich. 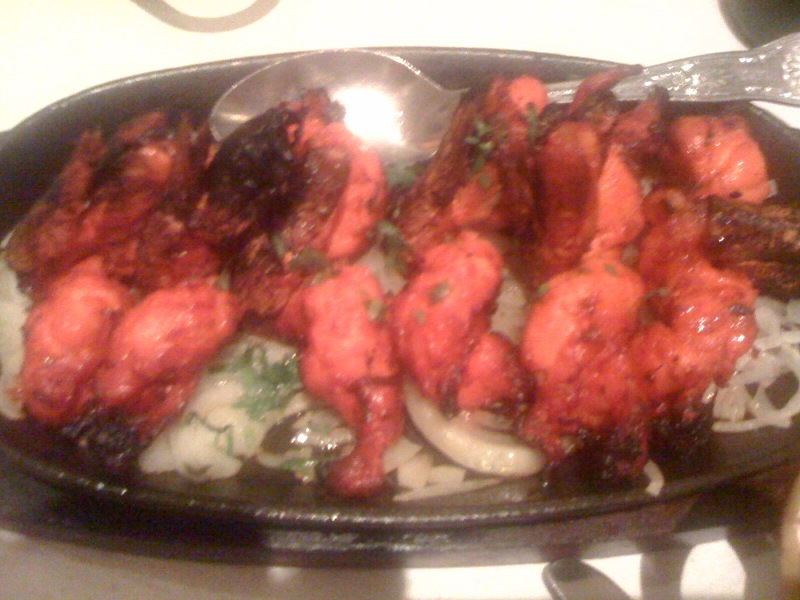 Ian orders King Prawn Tandoori (£9.99) and we all pile in so he only manages good bite or two and couple of butterflys himself. Serves you right for ordering the tastiest-looking dish Mr Organiser. 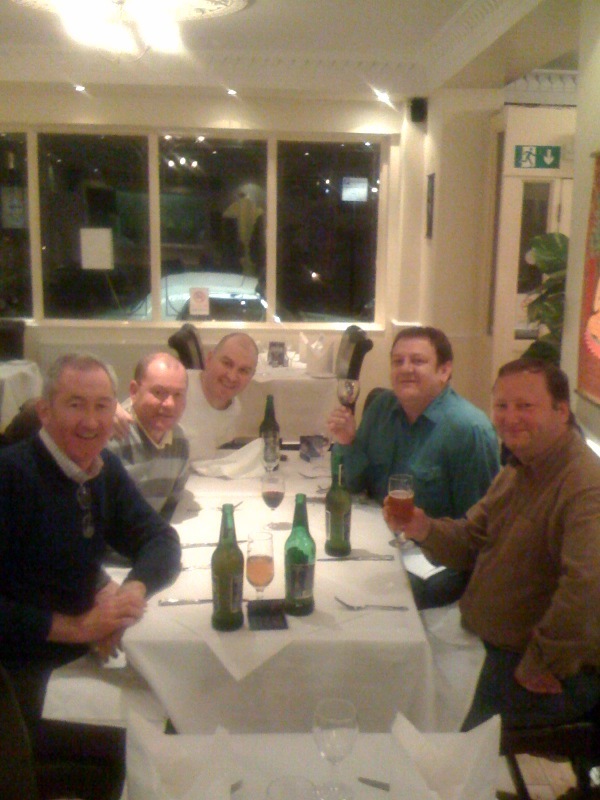 But the truth is, all the dishes were rather tasty, so swapping and tasting was de rigueur on this first meeting of 2010. I throw in this French phrase in honour of Antoine, our first foreign member of the GCC (Greenwich Curry Club, don’t you know), who received a well-deserved toast for the honour. Our free-for-all, however, was a rather civilised affair with lots of ‘pleases’ and ‘thank yous’ and ‘you must try mine’ etc as if we are all grown up and middle-aged now (well, at least one of them is accurate). Dave, in particular, was keen on the ‘you must try mine’ phrase because he ordered the least-enjoyed dish on the table, the Gurkhali Mixed Karahi (£6.95) whose menu description of chicken, lamb, sheekh kebab, prawn with tomatoes, spices and wine, sounded good at least. But not as good as the rest tasted. The Moghuls perfected the delicate blending of spicest with butter and cream hundreds of years ago and the Gurkha’s chef has picked up the trick. 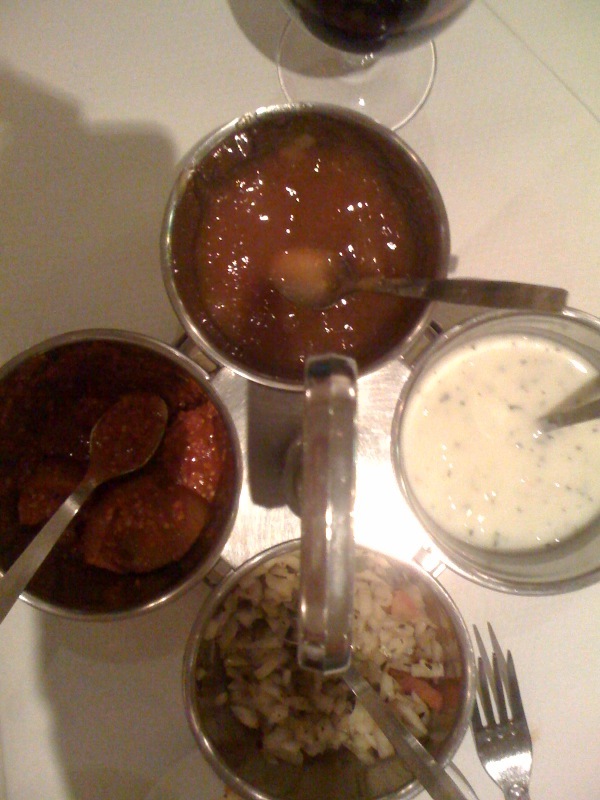 Bring on the Chicken Aishwarya (£6.95), pretty much butter chicken (can’t go wrong there), Gurkha’s King Prawn (£9.95) a butter-tomato sauce with cocunut, and Kukhura (£6.85), which bizarrely for an Indian was more like a Chinese stir fry in black bean sauce, but a nice addition to the free-for-all nonetheless. Add in Pilau Rice (£2.15), Aloo Gobi (£3.25) and a super delicious and spicy Saag Bhaji (£3.25) that would even have Popeye coming back for more, and even Dave’s magical mystery tour down the alleyways to get us here had been forgotten. 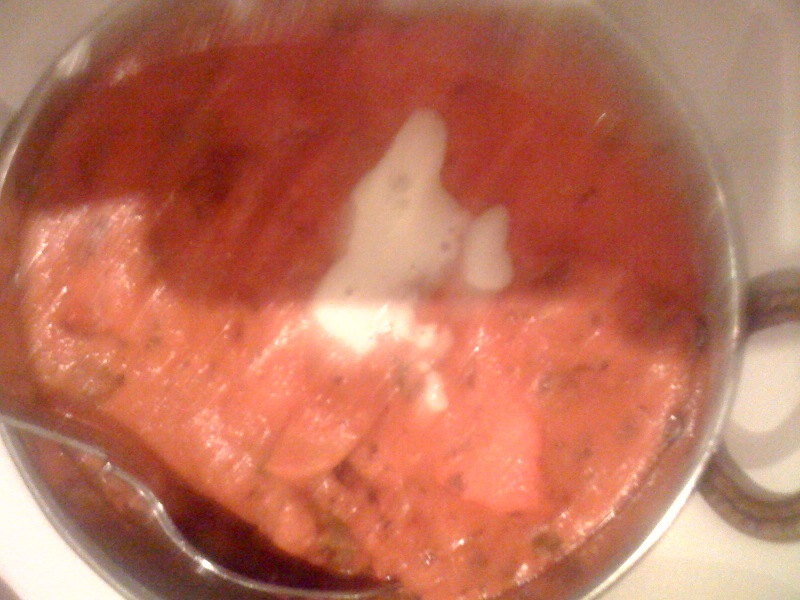 Well, we should have known it was going to be good the minute we’d tasted the Momo (Lamb) as starters (£3.85). Soft dumplings wrapping up mincemeat and dipped in achar. Unusual and nice. And that, indeed, is the joy of a Nepalese (did the name Gurkha give you a clue? ): all the old favourites but with a twist and a couple of new dishes. And so it was with the beer. 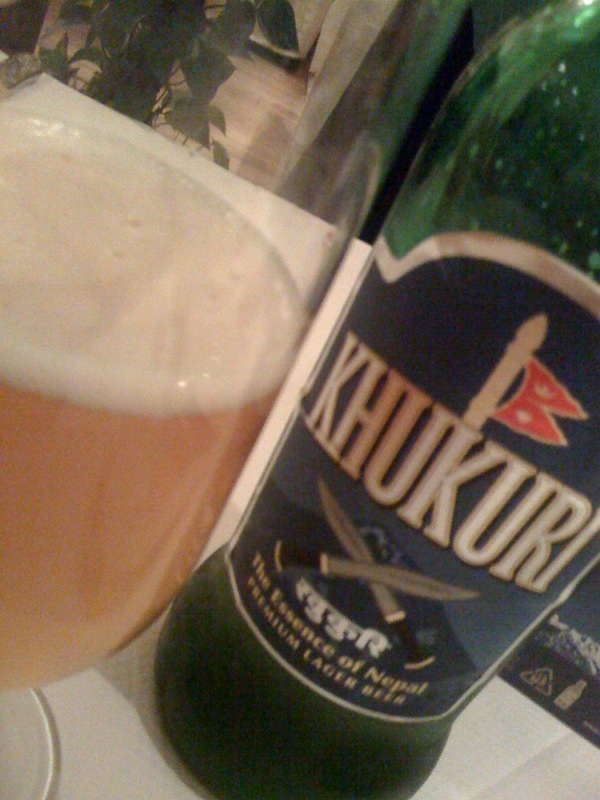 Khukuri, said to be the essence of Nepal (the name is the Gurkha’s famous fighting knife) is rather refreshing and ideal for washing down spices. It’s brewed in Manchester. As you’d expect. • Gurkha’s Inn, 17 Colom Street, SE10 9HA. Tel: 020 293-5464. Open: Mon-Thur 17.30-23.30, Fri 17.30-midnight, Sat 12.00-15.00 and 17.30-midnight, Sun 12.00-23.00.